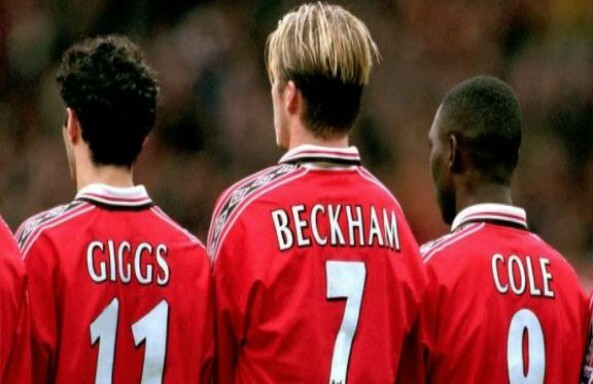 What can David Beckham teach us about hedge fund seeding? As part of our investment process, we take time to understand a hedge fund manager’s personal attributes: this month we discuss age and the role of youth. Football pundit Alan Hansen criticizing Alex Ferguson’s young Manchester United side (Beckham, Scholes, Giggs, Neville) following their opening day defeat in the 95/96 English Premier League. They went on to win both the Premiership title and the FA Cup that year! The youngest ever Mensa members, Adam Kirby and Christina Brown. The youngest ever chess grandmaster, Magnus Carlsen, from Norway. Alongside more standard factors that can drive hedge fund performance (access to data, research capabilities, risk management philosophy) we consider nuanced performance drivers such as personality, motivation, and lifestyle – through to even what car you drive. As we diligence managers for our second portfolio of seeds, we noticed a trend of younger managers looking to launch – and so thought of exploring whether age matters when it comes to hedge funds. Theoretical models have hypothesized that more experienced managers would take more risk as they get older, as knowledge and confidence in their abilities grew. Evidence from studies done on mutual funds, security analysts, and macroeconomic forecasters has supported this theory: older managers are more likely to take bold, aggressive actions while younger managers are more likely to herd and show more risk aversion. However, empirical evidence specific to hedge funds shows the opposite: older hedge fund managers tend to display lower returns and lower risk (Liang (1999), Edwards and Caglayan (2001)). So why are hedge funds different? Boyson (2003) posited that this is a function of the dynamics of the hedge fund industry compared to the mutual fund industry: hedge fund managers have more skin in the game and have more to lose if their funds fail – reputation, future career prospects, etc. Therefore, younger managers at the start of their careers are more diligent and driven to produce absolute risk-adjusted returns – arguably a key reason behind why younger managers outperform. This would not only imply that – all else being equal – one should prefer younger managers, but also prefer younger and smaller funds: both positive findings for us as a hedge fund seeder. When one thinks of hedge fund ‘legends’ one does not immediately think of youth; most of these legends are well over 50 years old. However, it’s worth remembering that most of today’s legends launched their funds in their early 30’s or younger. As can be seen by the table above, many launched under the age of 30. In our list of the top lifetime P&L generators, the average age at launch is 33. Anecdotally, our current manager pipeline for our next portfolio of seeds has an average age of 34. The type of manager that Stable looks for potentially biases us to a younger manager. As part of our investment process, managers are run through personality questionnaires to help us understand their background and mindset. A manager’s hunger, focus and desire to perform is assessed; alongside lifestyle factors such as how many hours a week they work, how they define success, or how they plan to compensate their team. If one had to try to put numbers to it, our view is that your 30’s is a good decade to launch – you are still hungry, not too rich, and able to work very hard without concerns about health or energy levels. We find investor opinions around the ‘appropriate’ age for a hedge fund manager is idiosyncratic to allocator types (endowments and family offices go younger) and cultural differences (Americans go younger than Europeans). Being too young may make investors concerned that they lack experience or maturity, having not been through a cycle or experienced extreme market environments. Being too old can also damage investor perceptions: is the manager still ambitious and hungry enough to make a new business work? Can they embrace new technology and understand new trends driving bottom-line growth and price action? Can they adapt well to different environments or are they set in their ways? As an allocator of capital, we must also be aware of how younger managers affect our diligence process. Younger managers generally have shorter investment track records; and have usually worked as part of a team as opposed to being a lead Portfolio Manager. This means that there is less information for allocators to base investment decisions on. As a seeder, this difficulty is magnified – and so our diligence processes have been refined over the last decade to address this. We are not ageist; we would never base investment decisions on age – it would be foolish to do so. Age is – by itself – not important. What is important is a manager’s hunger, mindset, personality, lifestyle, risk seeking behavior, experience and skill set – all factors which may have correlations with age. 1 Liang, B., 2001. Hedge fund performance: 1990-1999. Financial Analysts Journal, pp.11-18. 2 Edwards, F.R. and Caglayan, M.O., 2001. Hedge fund performance and manager skill. Journal of Futures Markets, 21(11), pp.1003-1028. 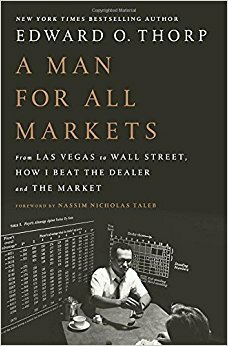 The true story of the mathematics professor who was one of the first card counters and also one of the first ‘quants’ in the hedge fund world.